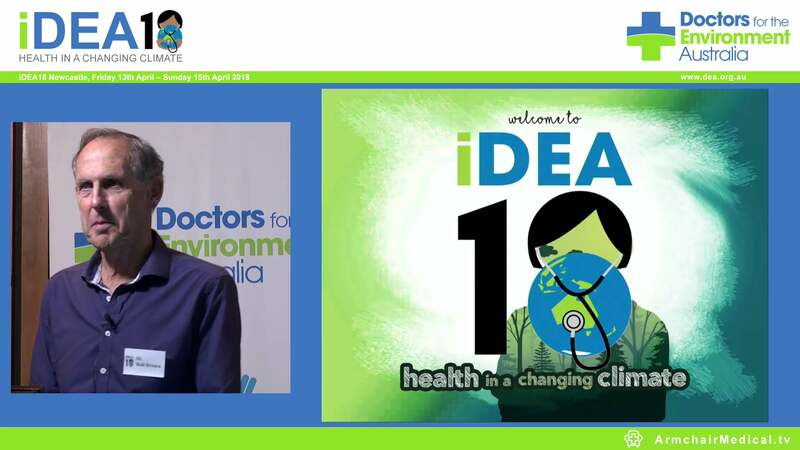 DEA is an organisation of doctors and medical students who work to mitigate the health harms from environmental damage. Our major concern is green-house gas (GHG) emissions as these adversely affect biological survival through global warming and climate change. Harms to health are occurring directly and will be accentuated by collapse of infrastructure from storm, flood, landslides and rising sea levels which are already causing havoc. The enormous cost to repair damage will be beyond the capabilities of many countries, leading to further erosion of health care. The mining (and transport) of coal independently creates considerable air pollution and consumes vast quantities of water (as does coal combustion) which is incongruous with the need for conservation in a country with scarce water resources. It is reprehensible that Australia’s federal government has been so negative in its response to the threat of accelerated GHG emissions leading to global warming and climate change. To not heed observations of leading scientific institutions and the IPCC and to actively discourage a more rapid transition to a low carbon economy has to be regarded as an ideological and political stance. Inaction supports the incumbent fossil-fuel industries which are unwilling to change from their current profitable operations. While some would hail profits as success of the free market, it must be remembered that most resource and power companies benefit from subsidies and favourable national and state contracts, and that they are not required to pay the external health costs to the community which derive from their operations (1), nor are they contributing to the future health costs resulting from climate change (2). Thus, for a number of reasons including economic forecasts, and an appreciation that ultimately all parties must share in adequate carbon emission reduction, Victoria has adopted ambitious emission reduction and renewable energy targets. South Australia and the ACT are also well advanced in renewable energy resources while other states, cities and local communities are planning to follow. While a co-ordinated approach throughout Australia is preferable, federal government dysfunction dictates that unilateral action by the states is absolutely necessary. DEA has supported the Victorian government in its endeavours to reduce GHG emissions. DEA has welcomed Victoria’s commitment to reducing overall GHG emissions and has submitted to the review of the Climate Change Act 2010 and publication of other policy statements such as Victoria’s Renewable Energy Roadmap. DEA has encouraged Victoria to develop suitable targets for emissions reduction. When the target of net-zero emissions by 2050 was announced, we urged the setting of an early target in order to establish momentum. An interim target of 15–20% reduction by 2020 was subsequently announced for which the Victorian Government is to be commended. Emissions reduction must be accompanied by expansion of renewable energy (RE) projects both for the obvious reason of supplying power and to provide opportunities for continuing employment. We therefore applaud the passage of the Renewable Energy (Jobs and Investment) Bill 2017 through the Legislative Assembly on 21st September in which Victoria aims at targets of 25% of electricity generated by renewables by 2020 and 40% by 2025. We also applaud the coupling of renewables with large scale battery storage to improve security and frequency inertia. Planning for periodic retirement of all the coal-fired power stations must begin now so that industry and the community have clarity for investment and employment. Clear objectives would enable new renewable technologies to match the gradual withdrawal of coal-fired power, allaying concerns of energy security and reliability for all Victorian communities. As Victoria’s brown coal reserves are plentiful, business and industry may still have plans to explore opportunities to develop this resource within the limitations imposed by severe emissions reduction. Of note is that whilst multiple projected uses have been investigated over the last few decades none have been deemed viable or progressed to development of an industry or jobs. Any development of coal reserves potentially poses a risk to health. Hence government needs to ensure that there are clear policies to protect not only the health of employees and surrounding communities and the environment, but also industry from projects that might later be deemed unacceptable and financially unviable. In arriving at a Statement on the future of brown coal in Victoria, through a consideration of current legislation in Victoria’s Climate Change Act 2017 and recommendations by the Edwards report 2017, the Victorian government is to be commended for the restrictions placed on new projects. However DEA believes that these are too liberal and are likely to foster inappropriate projects leading to excessive carbon emissions. One of the main aims of the Report is to promote jobs and investment based around the Latrobe Valley. However, over the last 15 years, in spite of considerable funding from government ($360M) and from industry, no technology or project has reached commercial scale or generated economic, social or environmental benefits for Victoria. 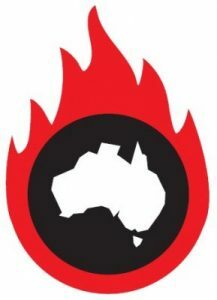 R&D program design and execution through Brown Coal Innovation Australia (BCIA) http://www.bcinnovation.com.au/Assets/1072/1/BCIALegacyReportWEB-rev.pdf has been meritorious but Demonstration and Commercialisation (D&C) has failed, possibly aided by changing coal and emission policy settings. Government funding of R&D does attract additional funding from other sources, creating a more viable research industry. However while promoting jobs and expertise in research, coal policy should not anticipate potential benefits from this research. a. To allow existing brown coal generators exemption from tighter emission standards is retarding Victoria’s progress in reducing emissions. Load-based licencing must also be addressed. b. To allow projects using less than 27,000 tonnes of coal per annum exemption from any emissions standard is opening the way for projects of high emissions intensity to gain a foothold for approval for further development. c. For an emissions standard to only cover direct emissions could open the way for unforeseen indirect and fugitive emissions (which can be significant) if, for example, coal was converted to a gaseous product. d. To allow projects to off-set with stored carbon as in Carbon Capture and Storage (CCS) does not eliminate actual atmospheric emissions and so is not equivalent to leaving coal in the ground. e. To set the emissions standard as that equivalent to gas-fired power is too generous as emissions from gas can be up to 1/3 that of coal fired power (top of the gas range at 0.45 tCO2-e/MWhr cf. Loy Yang B of 1.23 tCO2-e/MWhr). a. By allowing projects which have already been submitted “for relevant statutory approvals prior to the regulations being made” opens the way for immediate submissions to bypass regulations which could take months to be enacted. c. Scores of research projects are described in detail in the BCIA report “Positioning brown coal for a low-emissions future 2005-2015”. However as brown coal is a mix of multiple toxic substances which interfere with decontamination processes, “clean” or very low emissions products or processes are many years away from being economically viable. d. The CarbonNet (Carbon Capture and Storage) project needs to be critically and objectively analysed. With the vast resources being poured into attempts to develop this concept world-wide and with its abandonment in other countries, Victoria should not pin any hope on this technology being successful. The Edwards Review concludes that there may be a market for certain products from coal including diesel, urea, pulverised coal and hydrogen. While the conversion to diesel would replace imports there would seem to be little value or health gains in pursuing this avenue when bio-diesel and electrification are preferable, with the latter developing at a rapid pace. The export of pulverised coal and hydrogen would have considerable infrastructure costs and not ameliorate the deleterious health and environment effects from the mining and transport of coal. DEA has a long standing interest in coal policy because of the contribution that emissions from coal mining and coal-fired power makes to global atmospheric CO2, local environmental degradation and local air pollution effects – all with adverse health implications. Although an over-riding centralised coal policy is preferable, this is unfortunately not possible given the current federal approach. In these circumstances, DEA commends the Victorian government for its policies but stresses the importance of strong measures and safeguards to prevent locking in brown coal projects which will lead to future carbon emissions. DEA considers several of the allowances in the Statement to be too liberal and not consistent with Victoria’s aims to achieve net-zero emissions by 2050. Because brown coal is an abundant resource, R&D for new uses is appealing. However judging by the extent of research so far and reading of the difficulties encountered in the scores of projects described, there would seem to be little chance of achieving an outcome which couples low to zero emissions with practicality and affordability. The CarbonNet project does not warrant substantial investment. Not all resources require utilisation and Victoria’s large reserves of brown coal provide no compelling reason to exploit this resource right now. What a valuable resource it will be if, after forming over millions of years, it is retained for future generations and used at a pace which the environment can absorb.